"It is a truth universally acknowledged, that a single man in possession of a good fortune must be in want of a wife." Originally titled First Impressions, Jane Austen's second and most popular novel abounds with wit, intriguing dialogue, and even suspense. 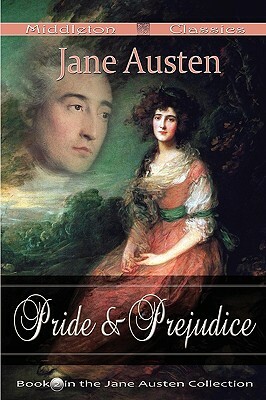 In this comedy of manners, the well-to-do (and not so well-to-do) are placed under Austen's unique microscope, as their lives, loves, pride, and prejudices are detailed with exquisite language-the kind of literary language that earned this title the notoriety of generations-and what results is a thrilling reading experience that will last long after the book's legendary conclusion. "The wit of Jane Austen has for partner the perfection of her taste." -Virginia Woolf.